Looking for a unique and special gift for an artsy fartsy friend (and I do mean that affectionately)? This 8 book series by Little Paper Planes should do the trick. These publications were created in conjunction with the LLP curated show "Buddy System", which took place at Rare Device in San Francisco last month. 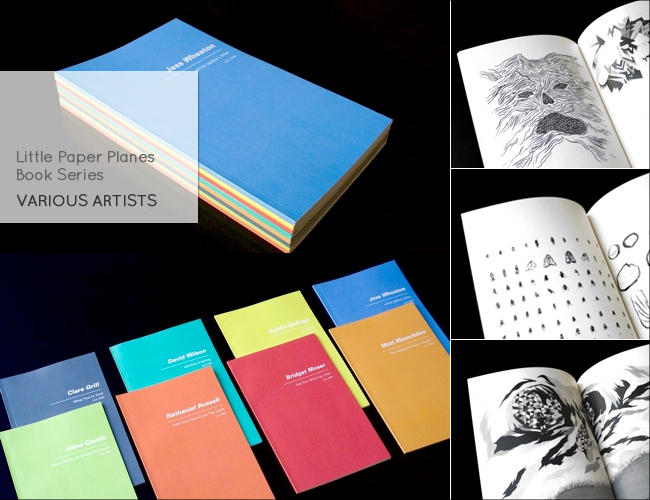 Each book is 5 x 8in and features 30 pages of work chosen by each artist. The books are also sold separately. Great idea! Lovely gift this would be!